We’d love your help. 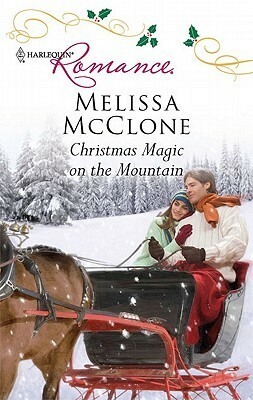 Let us know what’s wrong with this preview of Christmas Magic on the Mountain by Melissa McClone. When snowboard designer Sean Hughes sees Zoe Flynn hitchhiking at the bottom of Mount Hood he recognizes a free spirit—much like himself! They hit it off, and Zoe ends up agreeing to pose as Sean's girlfriend at his family's Thanksgiving. But following an accident and a misunderstanding they're soon stuck with each other for the Christmas holidays! Zoe's girl-next-door looks make Sean wish their charade was a romantic reality, but Zoe is hiding something…and he has until the clock strikes midnight on New Year's Eve to discover her secret! 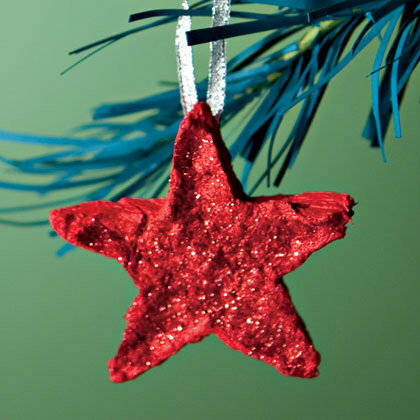 To ask other readers questions about Christmas Magic on the Mountain, please sign up. Christmas Magic on the Mountain by Melissa McClone was such a delightful addition to my Christmas reading. It’s Thanksgiving day and Sean Hughes is on his way up to the slopes to try out a new snow board. 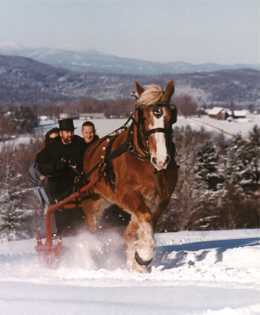 On the way he sees a young woman hoping for a ride to do some snowboarding of her own. Little did he know that the decision to stop and offer her a ride would change his life, and hers, forever! Zoe Flynn is almost out of money so she spends her last dollars on a day of snow boarding. Lucky f Christmas Magic on the Mountain by Melissa McClone was such a delightful addition to my Christmas reading. Zoe Flynn is almost out of money so she spends her last dollars on a day of snow boarding. Lucky for her the handsome Sean stops to offer her a ride and invites her to his family’s house for Thanksgiving dinner. Zoe, whose real last name is Carrington, has been trying to stay under the radar in Hood Hamlet. She is the daughter of Governor Vanessa Carrington who has her sites set on a Senate seat. Zoe never has quite fit into the family as her mother would have liked. 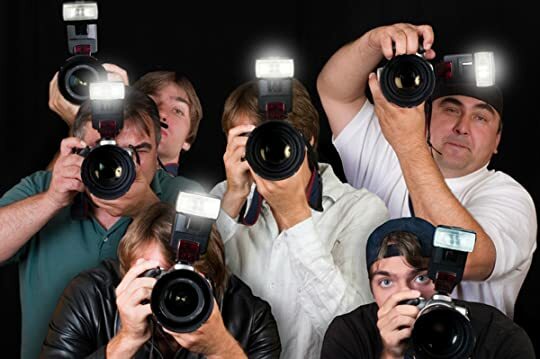 The paparazzi were always following her and catching her at the worst of times. And of course, the stories they printed were never accurate. So her mother has sent her away for awhile until the election to get her out of the tabloids. The attraction between Zoe and Sean is instant but the outcome was definitely not what they expected. Sean had a bad accident up on the mountain resulting in a badly broken leg and the other ankle badly sprained. Since Zoe was with him, his family who were endlessly hoping Sean would settle down, just assumed Zoe was his girlfriend. So they welcomed her into their midst with open arms. When it came time for Sean to go home to recuperate, he convinces Zoe to continue the ruse of posing as his girlfriend and to become his caregiver during his recuperation. Since Sean is actually paying Zoe to be his caregiver, they agree to keep their relationship friends only…for now. But the more they get to know each other, the stronger the bond becomes. Zoe knows she needs to tell Sean the truth about who she really is but she’s afraid to ruin what is growing between them. She has until the end of his recuperation to tell him. In the mean time, though, she is finding out what it’s like to really be a part of a loving family. They treat her as one of their own. The endless supply of Aunts, Uncles, nieces, nephews, and love, is more than she could ever have imagined. These people are who made Sean the man that he is. The longer she stays, the more she knows that she never wants to leave. It's up for a RITA and it was freaking cold out when I read it. Totally legit to read a Christmas story in May under those circumstances. This was utterly charming, with well developed characters who had believable personalities and actions. Reminded me a bit of While You Were Sleeping - he agrees to bring her to dinner so she's not alone for Thanksgiving, the day they met, but gets into an accident and his family is convinced that the pair are actually nearly engaged, and she can't bear to tell It's up for a RITA and it was freaking cold out when I read it. Totally legit to read a Christmas story in May under those circumstances. A Harlequin Romance without a lot or raunchy bedrood descriptions. It actually has a story line. Who'd of thunk it! This review has been hidden because it contains spoilers. To view it, click here. I read this one last year. Took me a minute to remember. Great book for the holiday. Sean and Zoe were great together. Loved this Christmas story. A great romantic novel. Loved this sweet, warm hearted romance. Zoe was the daughter of Governor Vanessa Carrington. She had three older brothers who were exactly like their well-known mother. Unfortunately, for her family, Zoe was unconventional, frequently in the tabloids, having the reputation of a party girl who frittered her life away on meaningless pastimes that more often than not landed her in hot water. Her latest escapade, her involvement with a married man was the last straw as far as the governor was concer Loved this sweet, warm hearted romance. Zoe was the daughter of Governor Vanessa Carrington. She had three older brothers who were exactly like their well-known mother. Unfortunately, for her family, Zoe was unconventional, frequently in the tabloids, having the reputation of a party girl who frittered her life away on meaningless pastimes that more often than not landed her in hot water. Her latest escapade, her involvement with a married man was the last straw as far as the governor was concerned. It didn't matter it wasn't true, like a lot of the stories written about her. No one believed her side of things. She's banished for awhile, forced to go out on her own, her trust fund put on hold as she makes due with a small allowance. Sean owns his own snowboarding business and also works search and rescue on Mount Hood. He's not interested in any romantic entanglement at the moment. Work takes up all his time and he likes his life just fine. When he comes upon Zoe, she's standing on the side of the road looking to hitch a ride. She's on her way to Timberline Lodge to do some snowboarding. The same place Sean is headed for, intending to test some new bindings. He offers her a lift and the next thing he knows, he's inviting her to have Thanksgiving dinner with him and his family. When he tells her about how they want to find him a mate, see him settle down, Zoe comes up with the idea of posing as his girlfriend in order to take the heat off. Sean is more than willing to go along so he can actually enjoy the holiday instead of feeling pressured into doing something he wasn't ready to do. When Sean is hurt in an accident on the mountain, Zoe feels like she should at least follow him to the hospital to make sure he's okay. 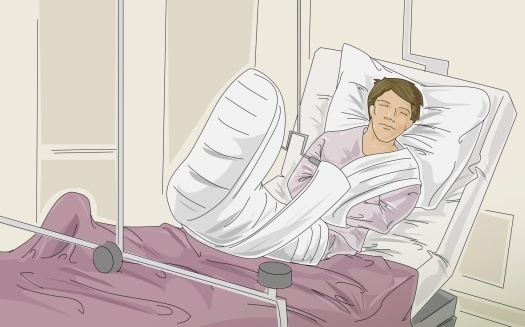 Once there, she discovers he has a head injury and has broken his leg in a couple of places. She's also introduced to his family who welcome her with open arms. Excited at the fact Sean has finally found him a girl, they quickly draw her into the fold, making her feel like part of a "real" family for a change with people who accept her for who she is, not because she happens to be the governor's daughter. She decides to go by Zoe Flynn instead of her real last name in order to avoid being recognized by the press, who will jump at the chance to get the latest story about her. She can't afford to disappoint her mother again, wanting a chance to prove she's responsible and not the immature, self-centered person others believe her to be. She ends up agreeing to staying with Sean, becoming his caregiver once he's discharged from the hospital. He will pay her while they continue their little charade of her pretending to be his girl. The more time they spend together, the more their attraction grows. But when Sean finds out the truth, that she's not who she seems to be, will Zoe lose the best thing that's ever happened to her? I loved this absolutely delightful and hopeful sweet romance. I find it hard to find romance novels that are rated "sweet" that are really good but this one met my standard for good and then some. The pretend girlfriend premise is not a new one but the plotline that Ms McClone created make the story fresh and fun. I absolutely loved all of the characters. I really enjoyed the program that the fundraiser was designed to support. If it is for dogs, I am all for it. Sweet, light and easy read. I live in the Pacific Northwest with my husband, two daughters, son, dog and too many cats! I write "sweeter" contemporary romance novels for Harlequin and Tule Publishing.